CHICKEN WITH VEGETABLES & RICE 390g. This appetising menu has a high meat content and contains all the nutrients essential for optimum health and well-being. Produced using a select few ingredients and freshly prepared chicken this menu is highly palatable and easy to digest. Steam Cooked within the pack to retain all the natural goodness. No Artificial preservatives, colourings or flavourings. 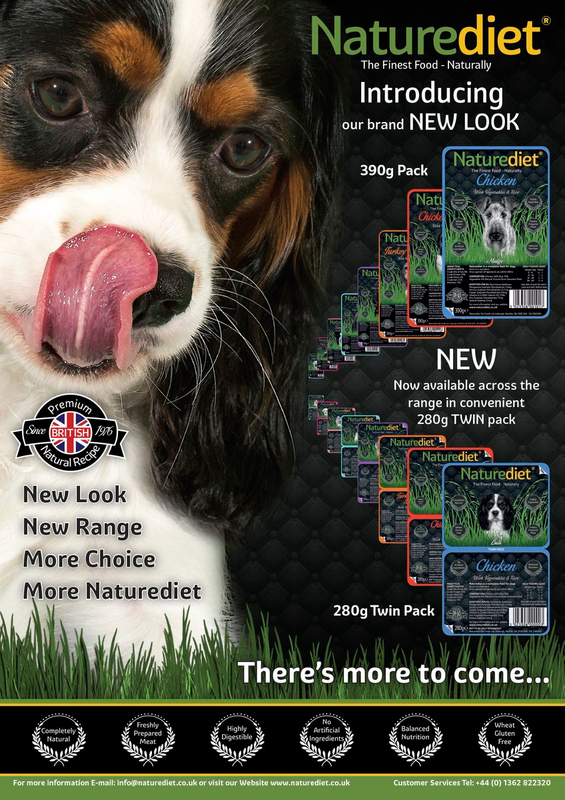 High quality dog food that uses only the finest ingredients and is made without artificial additives, preservatives and flavourings. 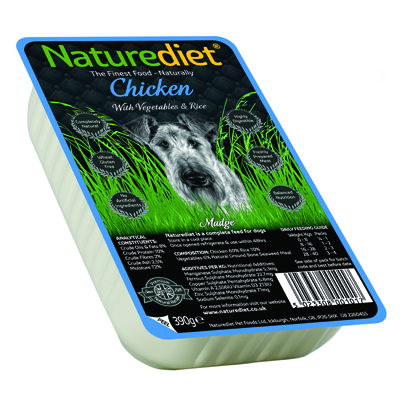 The Naturediet range is based upon holistic principles and contains only good quality meat, brown rice and vegetables for a natural approach to overall health and digestion. vitamins and minerals a dog needs. The aroma and appetising appearance of each meal mirrors home cooking and does not require any other supplementary food unless advised to do so by your veterinary surgeon.